After toying with the concept last year, Plextor has finally announced its first family of SSDs based on TLC NAND flash memory. The new M7V lineup of drives is projected to be more affordable than Plextor’s SSDs based on MLC NAND, but the company claims that lower prices will not affect reliability and consistent performance that its SSDs are known for. In fact, Plextor says that its M7V will be better than all the competing TLC-based solutions, which is a a very bold claim indeed. 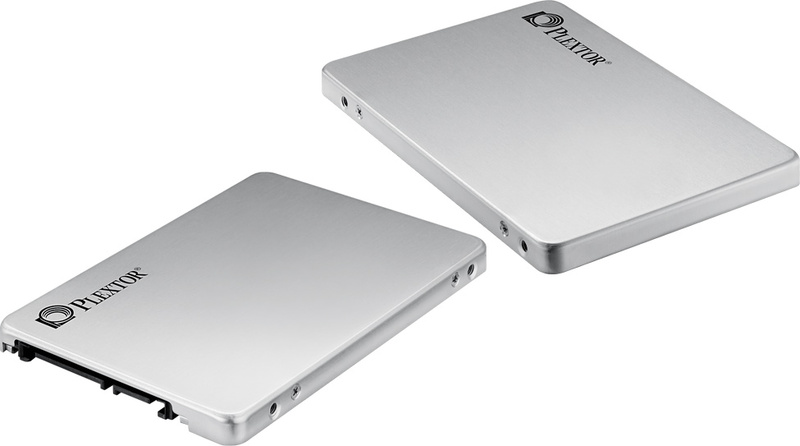 Plextor demonstrated its first TLC-powered drive back at CES 2015. At the time, the SSD was based on the Marvell 88SS1074 controller with LDPC (low-density parity check) error correction for increased endurance as well as Toshiba’s TLC NAND made using its second-generation 19 nm process technology (A19 nm). As it appears, that drive was not the only low-cost option considered by Plextor. 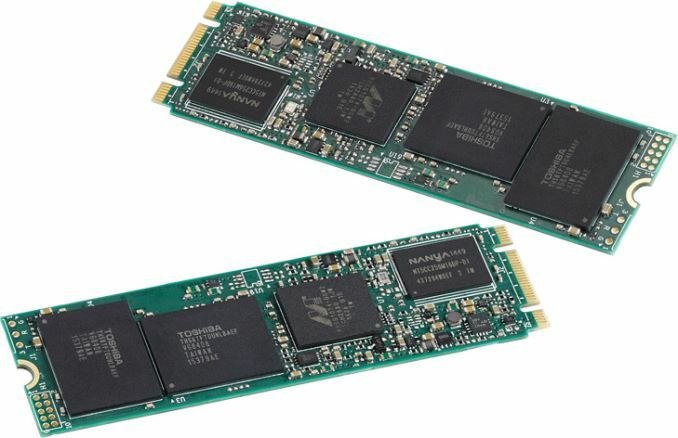 By the time company needed to ramp up production of its affordable SSD in mid-2015, it decided to postpone the release of its TLC-powered drive. Instead, the company introduced the M6V, which features Toshiba’s 15 nm MLC NAND, but is powered by a low-cost quad-channel Silicon Motion's SM2246EN controller. As a result, Plextor managed to release a value SSD, but kept using familiar MLC memory (albeit, with a new controller). Nonetheless, Plextor knew it could not to skip planar TLC NAND (and use 3D NAND once it becomes available instead), which is why it continued to work on its TLC drives. This month, the company finally revealed its first TLC-based product — the M7V. The Plextor M7V SSDs are based on the Marvell 88SS1074B1 controller as well as Toshiba’s TLC flash memory made using its 15 nm process technology. When Marvell originally introduced its 88SS1074 controller in May, 2014, it emphasized that the chip was specifically designed to enable SSD makers to use TLC NAND, which is why it features its own NANDEdge error correction technology based on LDPC algorithms. Plextor has been working on products featuring this controller for a long time and the M7V is the fruit of this work. For some reason, Plextor calls the 88SS1074B1 “the next-generation controller”, even though it looks like a new version of the chip introduced two years ago. This is not a bad thing in general because the 88SS1074 is a fine 8-channel NAND controller and Plextor’s engineers should be familiar with it (after a couple of years of playing with it). If the B1 version has higher clock-rates and/or more processing cores, it can perform more error correction and other operations, which potentially can improve endurance, reliability and/or performance of SSDs. In fact, the new revision of the chip could be the key to many technologies Plextor incorporated into the M7V. Plextor will offer its M7V family of SSDs in 2.5”/7mm (PX-M7VC) and M.2 2280 (PX-M7VG) form-factors. In the case of the latter, this is a SATA M.2 drive, as the Marvell 88SS1074B1 controller only supports SATA. Plextor will offer M7V in 128 GB, 256 GB and 512 GB configurations. The drives also come with enlarged DRAM buffers, which are important for performance and, possibly, for Plextor’s way of handling TLC memory. Plextor claims that maximum sequential read speed of an M7V SSD is 560 MB/s, whereas its maximum sequential read speed is 530 MB/s. Maximum random 4K read/write speed declared by the manufacturer is 98000/84000 IOPS. It is interesting to note that Plextor’s M7V SSDs are rated faster than the company’s M6V drives both in terms of sequential read/write operations (keep in mind that we are dealing with TLC-based storage devices, hence, we’ll talk about their writing performance below) as well as random read/write operations. Therefore, despite of getting a drive with cheaper memory, owners of the M7V may get higher performance if Plextor's performance numbers prove true. Plextor claims that it uses TLC NAND memory from Toshiba with increased endurance (which it calls “top-class components”). It also says that its exclusive firmware along with flash components help to increase maximum amount of memory’s P/E cycles to 2000, which is higher compared to that of typical TLC NAND. In fact, durability is what Plextor sees as the main selling point of the M7V. The company does not specify whether it uses Toshiba’s new TLC NAND devices that architecturally have higher endurance (an unlikely scenario), or Marvell’s 88SS1074B1 controller with LDPC-based error correction technology. Similarly, they aren't saying much about their own firmware, with its own set of tricks. For competitive reasons, Plextor does not specify the amount of NAND used for over-provisioning to increase endurance of its drives (but not components themselves), but extra NAND helps to increase durability of SSDs. To speed up writing performance of TLC NAND-based SSDs, like most other TLC drive vendors Plextor is employing a write acceleration technology of some kind to speed up write operations, which it calls PlexNitro. The standard here for TLC drives is to implement a pseudo-SLC mode write cache, however it's not clear if this is what Plextor is doing. The uncertainty comes from the fact that Plextor isn't setting aside space for the pSLC cache like other TLC drives have, and is why the M7V ships at 128/256/512GB rather than 120/240/480GB. Whether this means that they're instead dipping into the traditional and innate ~7% spare area pool or something else entirely remains to be seen. The actual peculiarities of PlexNitro are yet to be discovered, but what Plextor promises - consistently high performance, increased capacities and high endurance - sounds impressive. Still, it's something we'll have to validate once we're able to benchmark the drive and dive deeper into the workings of PlexNitro. 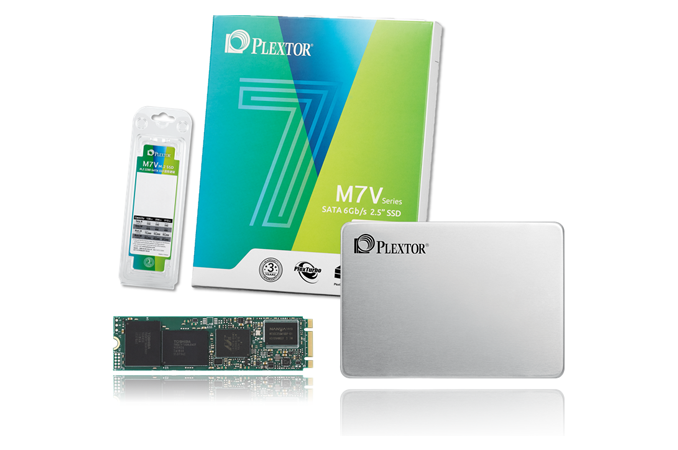 Finally, the new Plextor M7V solid-state storage devices should hit the market later this month. Plextor did not specify recommended prices of its M7V SSDs, but it is logical to expect them to cost less than the company’s MLC-based M6S Plus drives introduced several weeks ago. The Plextor M7V SSDs offer MTBF of up to 1.5 million hours and are covered with a limited three-year warranty. I seriously don't get why people are always so concerned about P/E cycles on consumer SSDs. TLC and MLC drives will be good for over a PetaByte each, and by the time you ever even get close to that (even assuming a daily defrag of your SSD), you'd be at the point to where that SSD has been obsoleted far past its usable lifetime. The fact of the matter is that SSD speeds are increasing much faster year after year than most other components, so the SATA 3 SSD you buy now is already obsoleted by M.2 drives and by the time it _DOES_ die (assuming you keep it in a system long enough to see this point), you'll probably be looking into buying a future standard PCI-E 3.0 x16 based SSD. well to the other poster's point - he was just using defrag as an example operation which in most cases involves a lot of sector re-writes due to re-allocations, not as in an operation to be performed on ssd. Why would anyone? Those whom are unaware that SSDs don't need defragmenting. And opposed to what many believe, defragmentation isn't dangerous for the SSD, it just wastes time (during defragmenting, which ties up the SSD's resources for no benefit) and slightly wears the NAND chips more as there are thousands of read/write operations done to shift file blocks around to group them contiguously. The end result is an SSD that isn't any faster but has experienced a few thousand more read/write cycles. That's why I said that even with a daily defrag of the SSD it still wouldn't have hit severe enough wear on the NAND chips to cause total drive failure.